Gülen’s position on violent extremism is based on a comprehensive, thorough and robust understanding and reading of the spirit and teachings of Islam’s primary sources, the Qur’an and Sunna – the same foundations on which its core teachings are based. Once again terrorists have struck out at innocent people in Paris and Beirut. To add insult to injury, as if that were possible at this level of depravity, the terrorists claim a religious justification for their heinous attacks. While it is clear that nothing of any worth can justify such barbarous acts, hundreds of Muslim scholars and thousands of Muslim adherents from all over the world have once again condemned these acts, first as ordinary people and then as those whose faith and religion has been hijacked by the perpetrators. Fethullah Gülen, an Islamic scholar, has also added his voice to those of others. Within hours of the attack, Gülen issued a condemnation, which can be accessed here. While Gülen’s condemnation is worth reading, I have taken the liberty of collating Gülen’s position on these matters from his previous talks, articles and statements. Terrorism: Gülen provides a religious condemnation of terrorism stating that (i) terrorism cannot be justified in Islam, whatever the situation or circumstance, (ii) that it is diametrically opposed to the spirit and letter of Islam, (iii) that a person cannot remain a true Muslim or mu’min (believer) while committing an act of terrorism, and (iv) that the punishment in Islam for the unjust killing of a person, as the case in terrorism, is eternal hell. Suicide attacks: That it is completely forbidden in that it is a form of indiscriminate killing and suicide – prohibited alone or together. As with other forms of terrorism and indiscriminate killing, Gülen rejects suicide attacks categorically. Unlike Qaradawi, he says no form of asymmetrical power legitimises this act in Islam. Jihad: Gülen emphasises the inherent priority of ‘greater jihad’ (inner struggle to overcome one’s carnal desires) over ‘lesser jihad’ (outer struggle including, but not restricted to, war). On lesser jihad Gülen argues that only a state can declare jihad but only after a series of conditions are met, such as exhausting all diplomatic opportunities, and only then in accordance with very restrictive rules. Gülen categorically rejects the idea that individuals or groups can declare war or even call to prepare for war. Gülen counsels that a comprehensive reading of the Qur’an reveals that peace is the default position in Islam and that war is the exception requiring a restrictive interpretation concerning these verses to reflect this position. Innocence of civilians: Gülen rejects the killing of civilians for being implicated in the political and economic structures that extremists are targeting. His reasons include: that groups making such claims have no authority to declare war at the outset, far less the right to extend the category of lawful targets, and that therefore their declaration of war and all they do thereafter is illegitimate; that Islam even prohibits the killing of soldiers captured while in a state of non-hostile activity, demonstrating that it cannot therefore allow the killing of non-combatants in an implied yet unproven state of hostile activity and intention towards Muslims; and that there are clear and unequivocal rules of engagement in Islam that prohibit the killing of civilians without recourse to the type of modern day reasoning of violent extremist groups despite similar conditions prevailing at the time of Prophet. Islamic state: Gülen rejects the notion that Islam obliges Muslims to found a state, Islamic or otherwise. 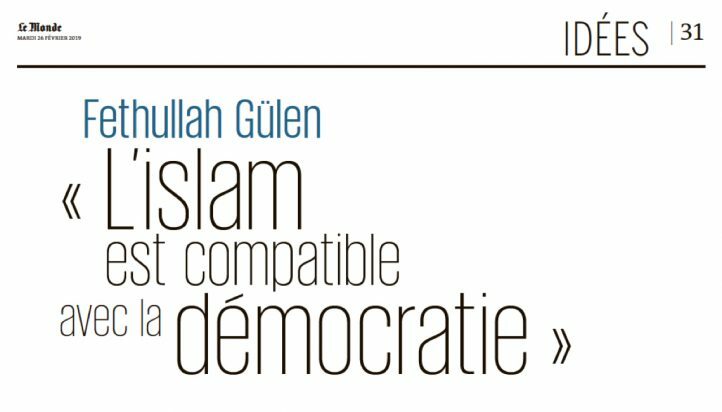 Rather, Gülen argues, Islam requires a free and vibrant civil society in which it can be practised and flourish; it does not require nor prescribe a set form of state, says Gülen, removing a central impetus for many violent and non-violent extremist groups. Dichotomous worldview: Various terms and phrases from the medieval era are instrumentalised to present a dichotomous worldview of ‘us’ versus ‘them’. One of them is dar al-harb (abode of war) and dar al-Islam (abode of Islam). Gülen strongly opposes such a worldview. Rather, he encourages assessment to be made on principles, merit, effort, and characteristics, and not on religious or national identities. Accordingly, he proposes dar al-hizmah (abode of service) as a single concept to replace the other two by seeing the entire world as a place to serve and help others. 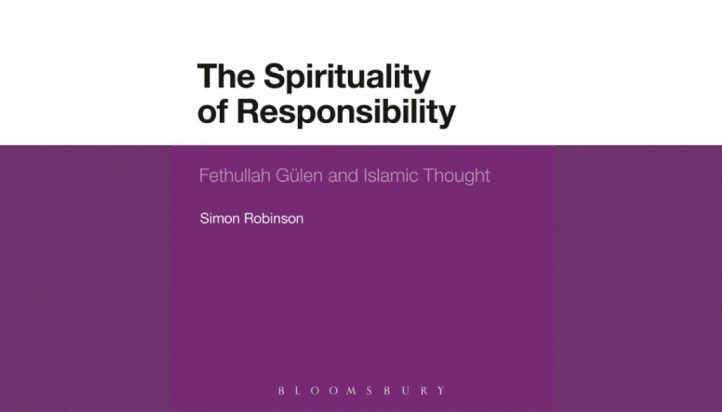 While refuting violent extremist ideology that claims a religious justification, Gülen offers an interpretation of Islam that acts as a positive counter narrative. One which espouses a belief in the centrality of love and compassion; that diversity of belief was and is intended by God; that free will is key to human nature, whose proper function must be guarded and guaranteed at all times; that people must seek the middle way in all actions, temperaments and potentials (sirat al-mustaqim); that there is a positive Islamic responsibility on people to engage and learn from one another without needing first to approve of each other’s views and lifestyle; that there is a responsibility always to think positively about others (husn-u zan); that people must be in a constant and continuous state of positive and proactive action (müsbet hareket) while favouring a worldview that brings together on shared humanity rather than divides on the pretext of difference. 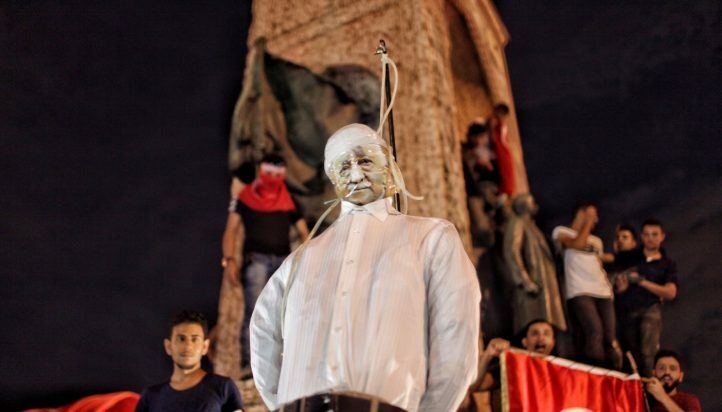 Gülen would argue that this is an authentic understanding of Islam. Clearly, religion cannot be instrumentalised in the act of committing violent extremism if it is understood in these terms. May God give us strength in these difficult times and heal our wounds as we bleed from France to Beirut. Amen! 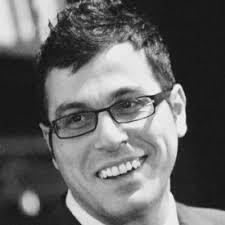 Ozcan is a non-practising Barrister and member of the Honourable Society of Gray’s Inn. He is the Chairperson of the Dialogue Society; was the Executive Chairperson of the same organisation; the Executive Editor of the peer-reviewed biannual academic Journal of Dialogue Studies and a PhD candidate in the sociology of human rights at the University of Sussex.